Facebook is answering the call of inquisitive social media fans with Facebook Questions, a new question-and-answer feature similar to Yahoo! 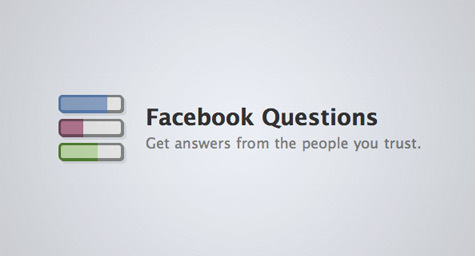 Answers that asks users’ questions to the entire Facebook community. The Los Angeles Times reports that the social media giant is rolling out this feature to all users after several months of successful beta-testing. Facebook Questions will appear at the top of News Feed and Profile pages as a share option along with photos, status updates, links and videos. The feature also lets users create a poll for more targeted responses by simply typing in the question, then clicking “Add Poll Options” and filling in the blanks with specific answers. If a question captures a user’s attention, they can “Follow” it and receive a notification when a new answer is submitted. Users can also add photos for a personal touch. It’s important for users to realize that Facebook Questions has no privacy settings. All questions and answers can be seen by anyone at anytime. For users seeking discretion or simply wanting to know their friends’ opinion, Facebook suggests posing questions as a status update. For others asking for a world of responses, Facebook Questions may be the answer to their prayers.